Good to get a male model to paint and this one was willing to stand. Normally I just get stuck in and start drawing, but this time I was determined to get the whole figure in, so I spent some time measuring up and I adjusted the head three or four times before I launched on the rest of the figure. And I got him all in. 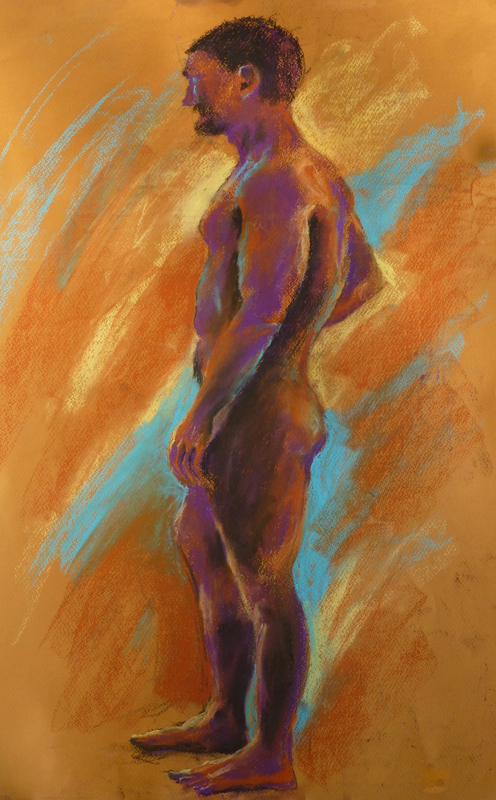 This entry was posted in figurative, Life Drawing, pastel and tagged figurative, life model, lifedrawing, lifepainting, painting, paintings, pastels. Bookmark the permalink.